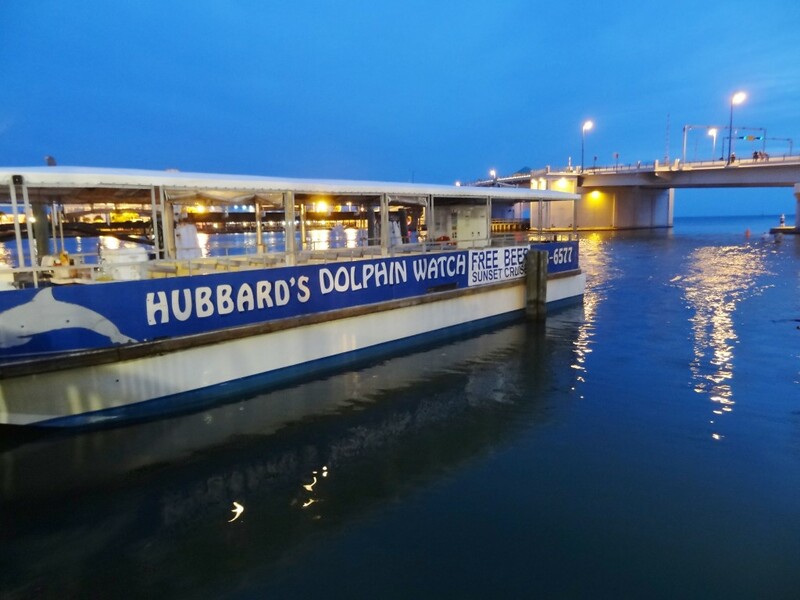 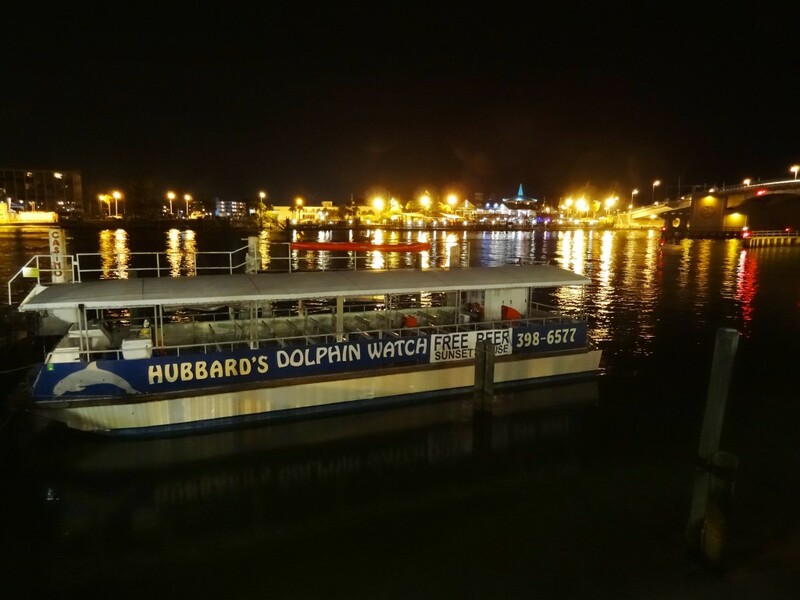 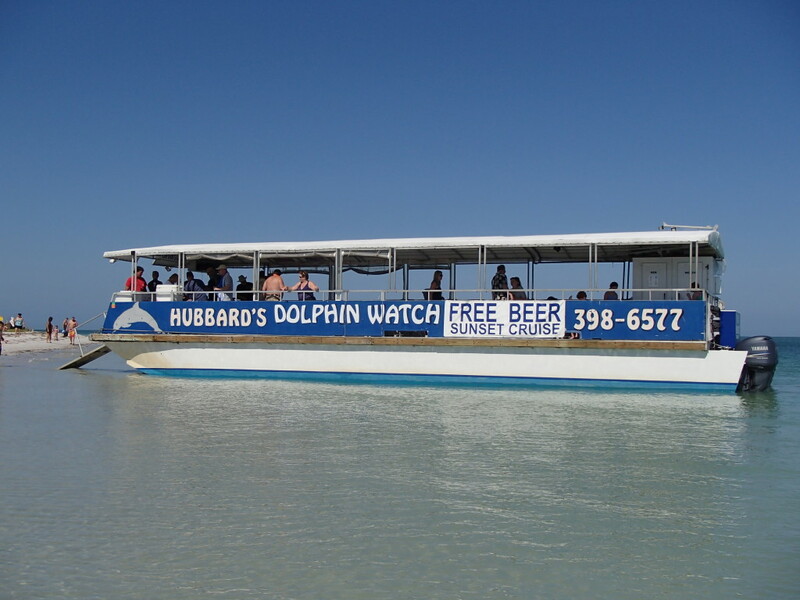 The Sea adventure is our big blue boat that normally runs our daily dolphin watching nature cruise and eco tour and our sunset trips with free beer and wine. 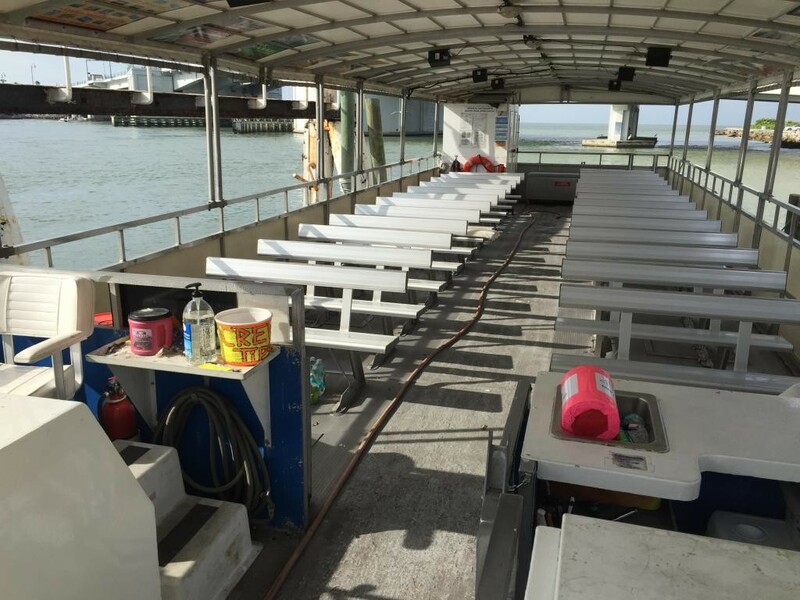 This boat is a 58 foot sea ark hull with open air spacious deck featuring bench bleacher style seating for up to 80 people. 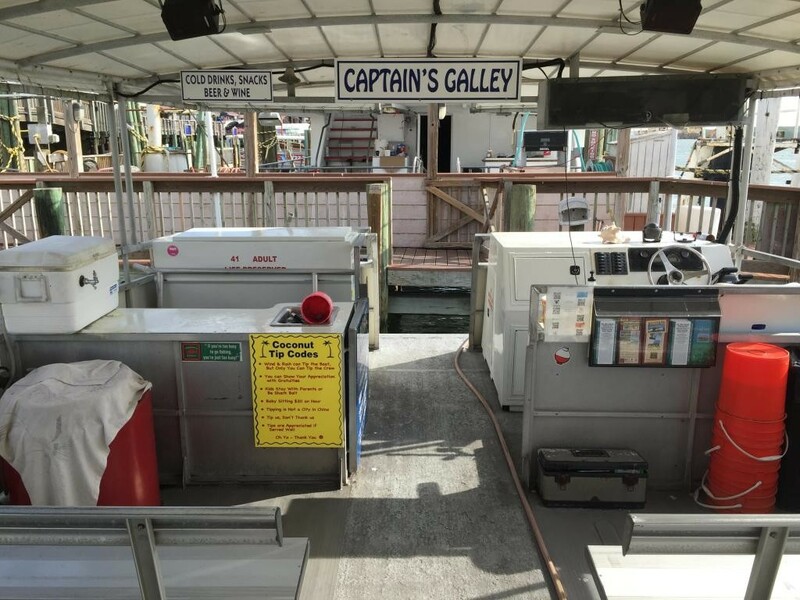 This boat also has a women’s and men’s bathroom at the stern as well. 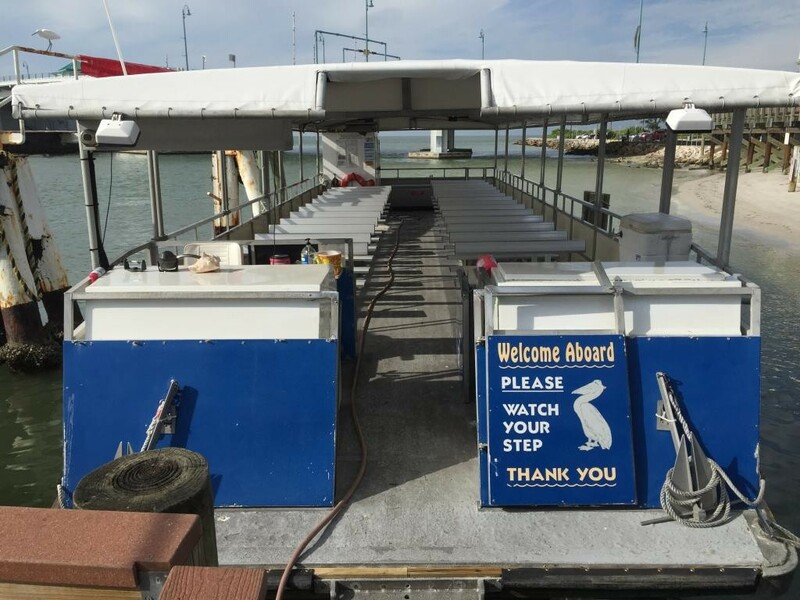 This boat also has a snack bar on board with soda, water, beer, snacks, candy, and more for sale or you could purchase the many catering options. 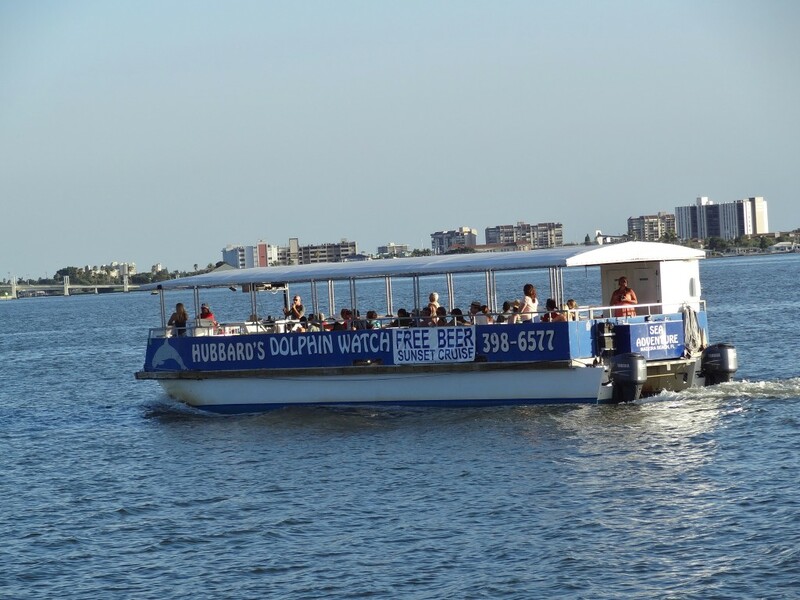 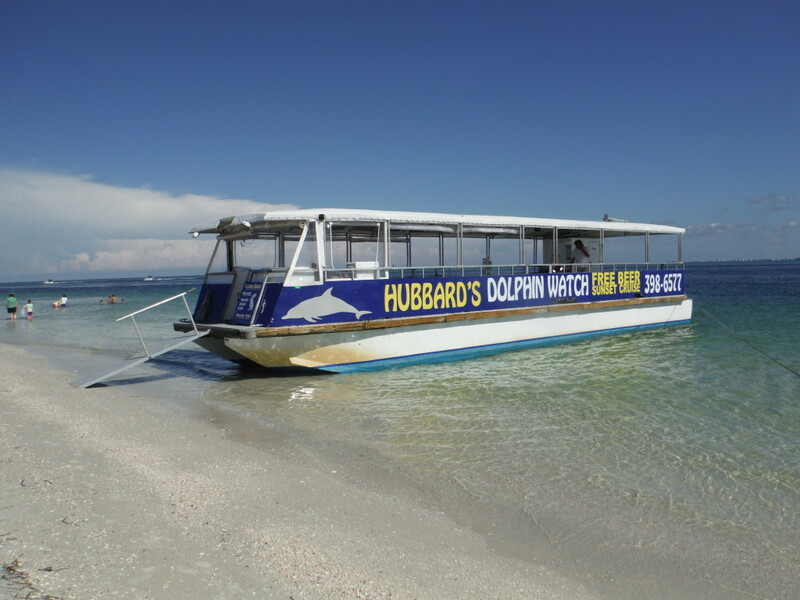 Perfect boat for a fun filled day of cruising the back protected bay waters or along our beautiful beaches.